New pre-development work by Pilbara Minerals has shown the world-class potential of the giant Pilgangoora Lithium deposit near Port Hedland. 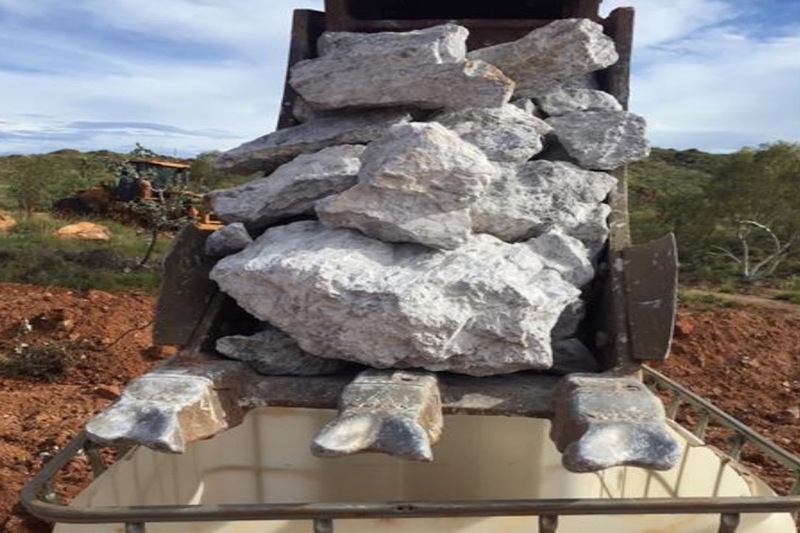 The Perth based Lithium developer announced this week that 10 bulk samples from the proposed initial mining areas, in particular those earmarked to supply direct shipping ore, had produced an average grade of 2.11% Li2O. Results from the individual one-tonne samples ranged from 1.46% Li2O to 2.93% Li2O. The news will no doubt delight Chinese Lithium Carbonate producer Shandong Ruifu Lithium, who are so eager to get hold of Pilgangoora Lithium that they have agreed to take ore grading as low as 1.5% straight out of the ground without any processing for the next two years. The novel agreement is separate to offtake deals for Lithium concentrate from Pilbara’s 2Mtpa processing plant, and could provide cash flow as early as next quarter for the soon to be Lithium producer. The key to unlocking that cash flow is a services deal being finalised with Atlas Iron, under which Pilgangoora ore would be shipped through the iron ore miner’s Port Hedland infrastructure to Shandong Ruifu and other potential buyers. Pilbara also announced that grade control drilling in the two key pegmatite domains in the Central pit area had confirmed high-grade mineralisation in the initial development stages. Significant intersections included 16 metres at 2.07% Li2O and 32 metres at 1.72% Li2O. Pilbara Managing Director, Ken Brinsden said the preliminary works and final metallurgical test work had continued to further de-risk the project’s development. He said strong progress was also being made with offsite engineering, procurement and construction of the mine camp, which is scheduled for commissioning in two weeks.